If you’re in the market for a new garage door because yours has fallen into disrepair, and you want to partner with a company that you can trust, turn to the pros at 31-W Insulation. For more than four decades we’ve proudly served homeowners in Cincinnati, Ohio, and nearby areas, and our professional garage door installers are known industry wide for their impeccable craftsmanship. By relying only on our highly trained company employees – never subcontractors – we can ensure a higher level of service and more consistent customer care. Here at 31-W, we offer durable, beautifully crafted garage doors made by Amarr®, one of the most dependable manufacturers in the industry. Designed to impart striking visual appeal, these garage doors will help boost your home’s curb appeal by making it stand out from the rest of the homes on the block. Carriage House – These delightful carriage house style doors can lend a quaint rustic appearance to your garage while offering all the functionality of a modern style garage door. Traditional – These traditional garage doors are built from heavy-duty, low-maintenance steel, and have been designed to impart timeless beauty for a wide range of house styles. Specialty – The specialty style door features clean, simple lines with ornamental iron and expansive glass panels for a look that is both unique and wonderfully versatile. Whichever style of door you choose, you can be sure that it will provide you with many years of reliable service. These doors have all been built to stand up to high wind pressures, regular wear and tear, and forced entry attempts. 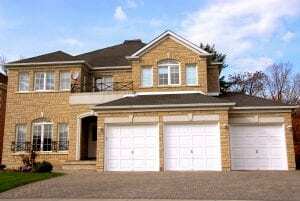 Moreover, the high R-value thermal insulation with which these garage doors are constructed offers enhanced energy efficiency, which might even help you save some money on your monthly heating and cooling costs. For more information about partnering with our garage door installers to have your Cincinnati-area home outfitted with a new garage door, contact 31-W Insulation today.